Taking the artistry of Manchester Orchestra, the emotive drive of Alexisonfire, and the glowing diversity of Coheed and Cambria, This Devastated Fan showcase a sound that pitches impressive dynamic variation with earnest song-writing. The band are now set to plough their way to the upper echelons of the UK music scene with the re-release of their new album ‘Plot And Debauchery’, out Monday 12th August. Hailing from the North West, alternative foursome This Devastated Fan were originally formed back in 2006, but the current and now permanently stable line-up consists of blood brothers Robbie and Jamie Cavanagh on Vocals/Guitar and Drums, respectively, Will Rogers on Guitar and Steve Alday completing the band on bass. Based at their very own rehearsal space and office in Wigan, endearingly titled 'TDF HQ', the band work diligently to perfect their craft and it’s started to reap its rewards. The diligent quartet are making new friends and pathways, and for the past 18 months have launched a savage attack on the UK and Europe, playing shows from the North to the South and chalking up supports with 'Public Image Limited' and 'The Birthday Suit' along the way. This Devastated Fan also have a steady recording output and are now poised to reboot their latest album. 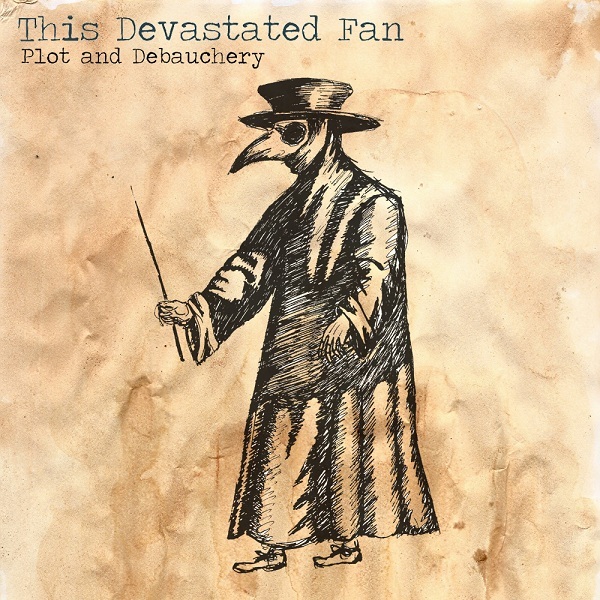 Recorded at TDFHQ studios, the band’s third release, ‘Plot and Debauchery, encompasses TDF's live energy whilst maintaining a superior quality complete with a polished sound. From the chugging rhythms and dynamic flavourings of ‘Shoulder The War’ through to the animated angular rock of ‘Bambi Woods’, and to the ambient beauty of ‘Heathen Rage’, the rising alternative crew have put together a record that packs thirteen killer cuts. The band are now braced for nationwide recognition as they tour for the remainder of this year and beyond!